Hi! Your web site was really impressive and I found some perfect Holiday content on it that needs a wider audience. 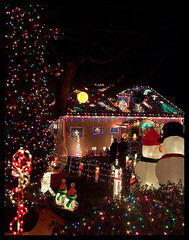 I'm a publisher of Learn Your Christmas Carols Blog with more than 25,000 visitors. I've published lyrics and videos to nearly 100 different popular, traditional, funny and obscure holiday songs. This year, I will include links on Christmas recipes. Is there any content you would like to contribute with me? The only thing you would do is a link back in your sidebar or footer. If you are interested just email me at juliegallaher@gmail.com or tweet me at http://twitter.com/juliegallaher. I'm looking forward to your positive response. Thanks!